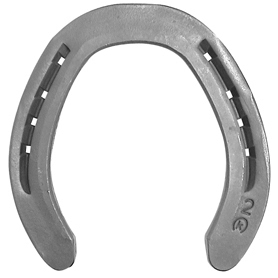 This is a special hind shoe with a wider outside branch to give additional support in the heel area. Available quarter clipped front, quarter clipped hind. Especially designed for the hunter jumper market.